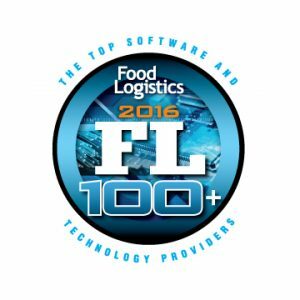 Phoenix, December 19, 2016 — Food Logistics, the only publication exclusively dedicated to covering the movement of product through the global food supply chain, this week announced the thirteenth annual FL100+ list, which appears in the November/December 2016 issue. AFS Technologies® was recognized for the 13th year in a row to FL100+ Top Software and Technology Providers list for its technologies that support and influence the global food supply chain. Based on 30 years of working with food and beverage distributor/wholesaler, AFS has channeled its experience and best practices into several solutions that are purpose-built for the industry, including AFS™ ERP, AFS™ Warehouse Management System, AFS™ Order Management System, and AFS™ G2. Food Logistics is published by AC Business Media, a business-to-business media company that provides targeted content and comprehensive, integrated advertising and promotion opportunities for some of the world’s most recognized B2B brands. Its diverse portfolio serves the construction, logistics, supply chain and other industries with print, digital and custom products, events and social media. www.foodlogistics.com.